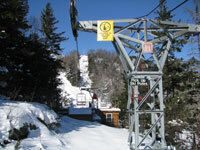 Black Mountain in Jackson is the oldest continually operating ski area in New Hampshire, with the oldest overhead cable lift in the country. But that doesn’t make Black a ski museum. 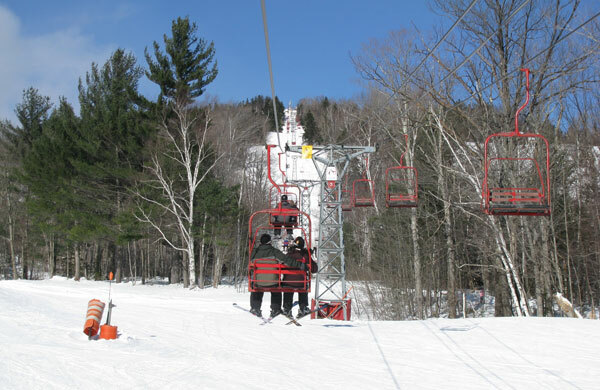 Quite the contrary, Black is a fun family friendly area, with spectacular scenery of Mount Washington, and great swerving ski runs down 1,100′ vertical. 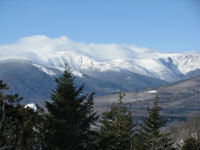 This classic New England ski mountain dates back to 1935, and continues to offer old fashioned fun at flashback prices. While Black is totally retro, no terrain parks here, new glades have been added to the scenic summit to satisfy the young and adventuresome and Black has added snowmaking over the past few season to make Black more white! You won’t find fancy lifts but you won’t find crowds either. You will discover naturally interesting terrain, like top to bottom twisty turny Black Beauty, often you have an entire trail all to yourself. A midstation cabin serves snacks and hot beverages on weekends and holidays. Black’s base lodge provides rustic warmth and hospitality, plus happening après ski on weekends with live music in the Lostbo Pub. Try the “warm and fuzzy” in a mug for hot cocoa with a kick! Apres Ski at Black, stop by the Whitney Inn near the base. The Shovel Handle Pub displays the original shovel handles from Black Mountain’s first overhead cable lift (in the entire country) equipped with Sears & Roebuk shovel handles. Pull up a bar stool, or a fireside seat by Whit the moose, and a view of the slopes in the rustic three story barn, enjoy drinks, entertainment and awesome lobster mac and cheese. For ski lodging during your ski trip to Jackson, head downhill to charming Jackson village and stay at the elegant Wentworth Inn. Innkeepers Fritz and Elli have created incredibly romantic rooms, most with oversized jacuzzi and fireplace, throughout the original 1869 Inn and property. The dining at the Wentworth is top shelf, and the setting in this historic hamlet is truly magical on a snowy eve. With the kids, The Eagle Mountain House atop the hill has a wonderful historic hotel.